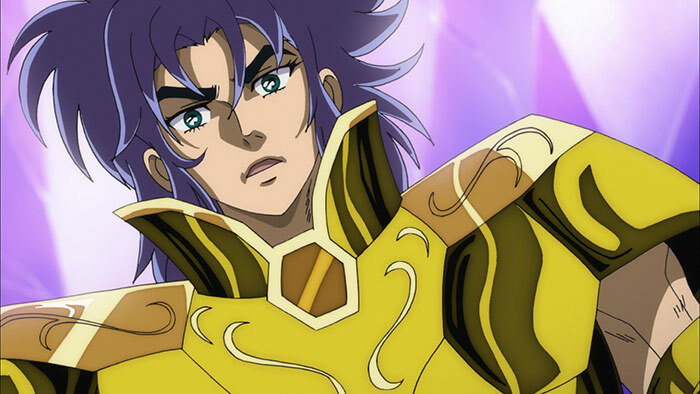 During the battle with Hades, in the underworld, the twelve Gold Saints gave their lives to destroy the Wailing Wall and open Seiya's breach. 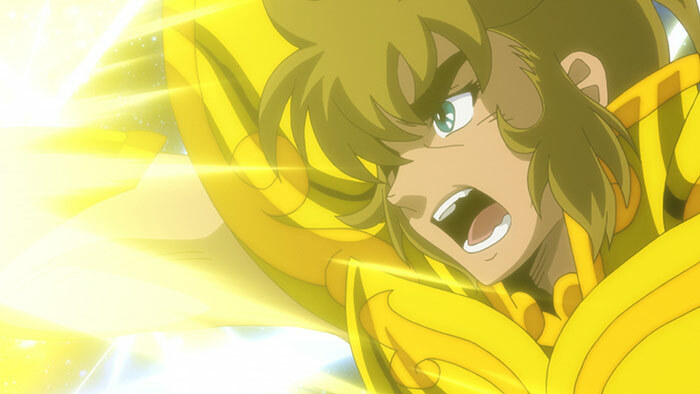 Though they should have been destroyed, Aiolia and the other gold saints are resurrected in a beautiful world overflowing with light. Just why have these men who should be dead been revived? Aiolia has a new encounter and becomes embroiled in a battle with this large mystery unsolved, and when he raises his Cosmo to the limits... Leo's Cloth transforms! 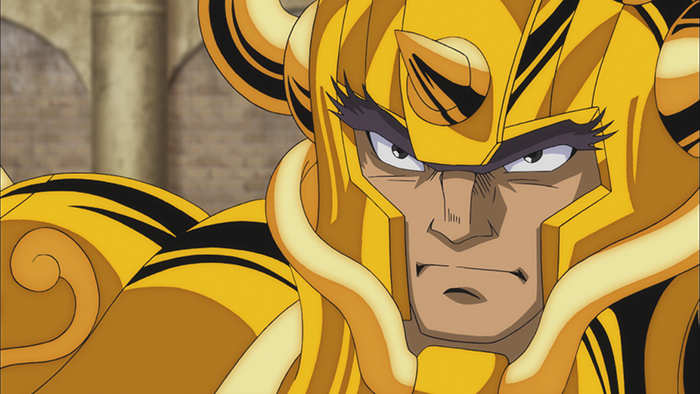 Aiolia had defeated Frodi after his Gold Cloth had evolved into a new form. 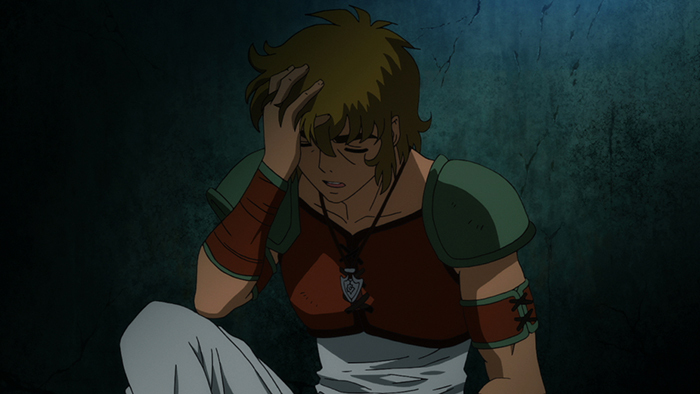 However, a mysterious pattern reappeared on his body again, and he collapses to the ground. Lyfia runs around to find help for Aiolia, but soon collapses herself, too. 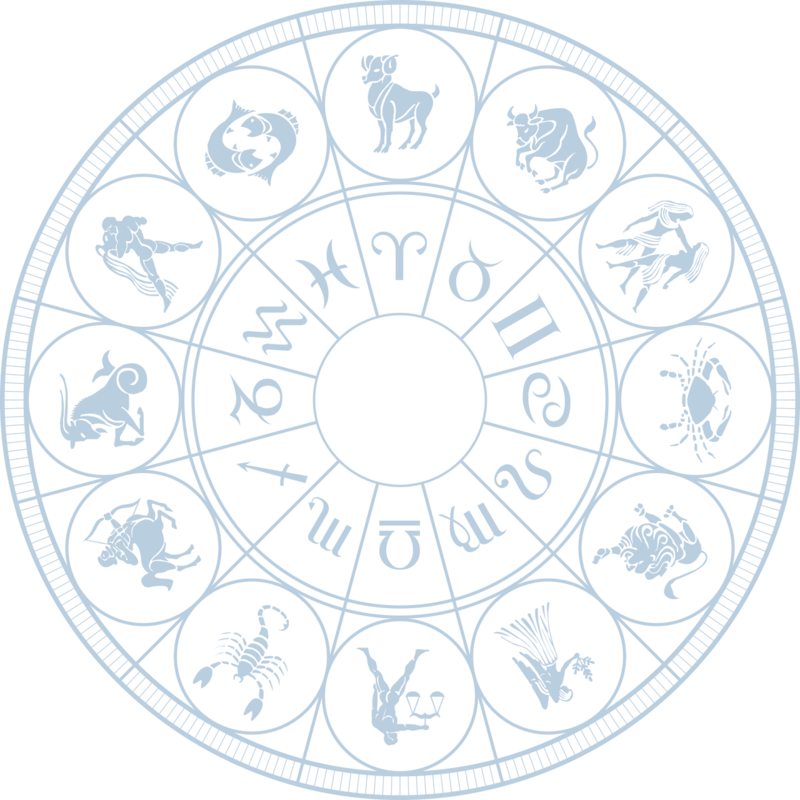 When she wakes up, she finds herself with a young boy and Aries Mu, who carries the Cloth Box. Meanwhile, a guy was heading alone to the fighting arena in Asgard. 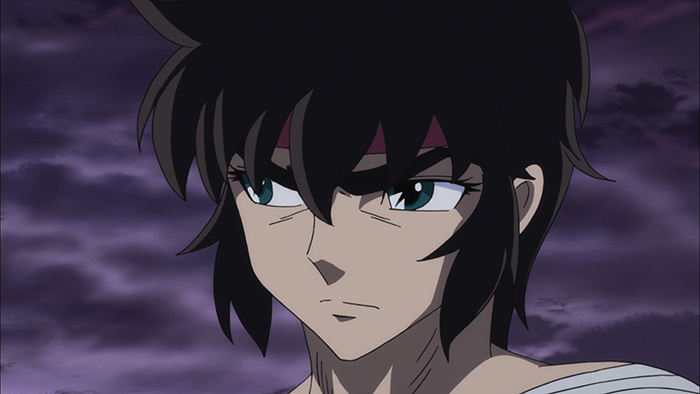 His name was Taurus Aldebaran, and he too, was trying to find the reason to why he was given another life. Scorpio Miro finally goes up against God Warrior Surtr. 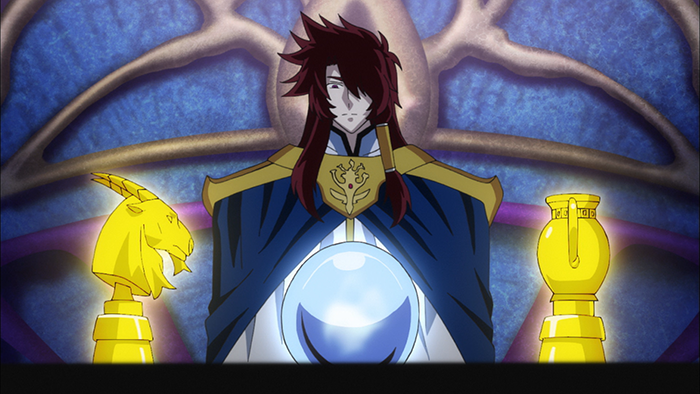 And the other man who stands before Miro is actually the Gold Saint Aquarius Camus! Meanwhile, Aiolia and Lyfia who are heading to the great tree Yggdrasil happen to bump into Cancer Deathmask in the town. Lyfia cannot hide her surprise in seeing this man who seems nothing like a Gold Saint, but she still asks Deathmask to save Asgard. 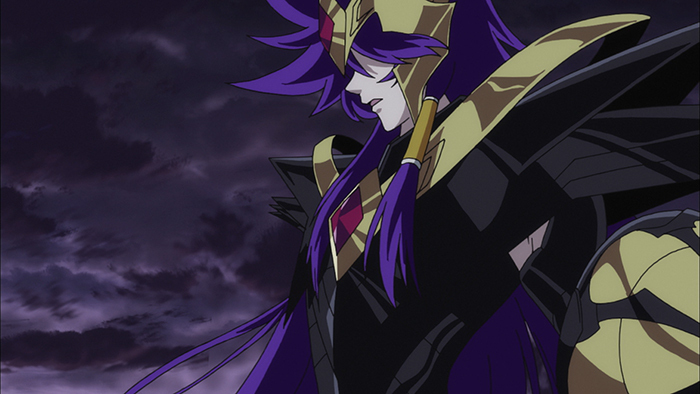 However, Deathmask refuses to join the fight. 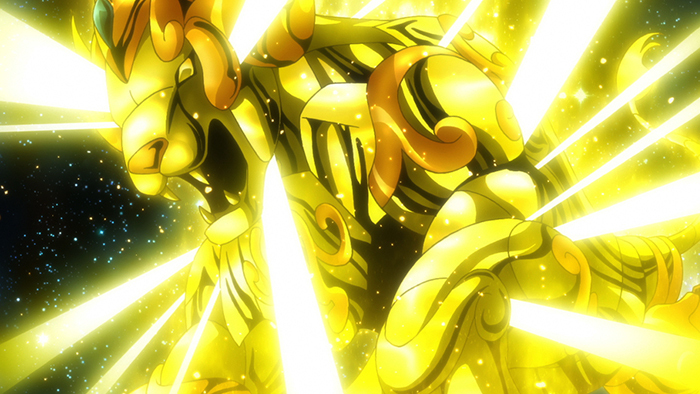 The area gets engulfed in the tense atmosphere created by the Cosmos of the Gold Saints Aiolia and Deathmask! 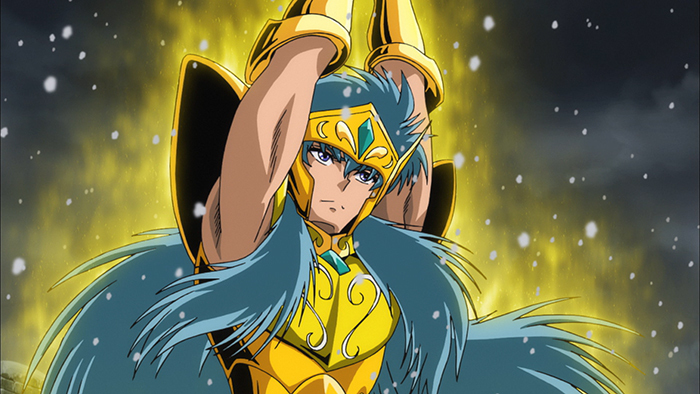 When Miro was about to meet his fate due to Surtr’s cunning tactics, out comes Gemini Saga, the most powerful Gold Saint who serves Athena. 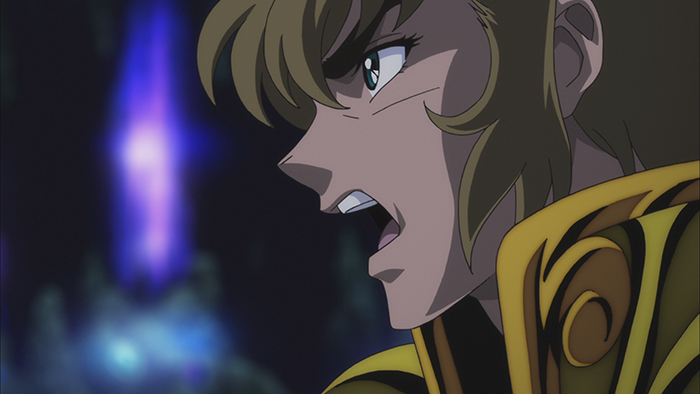 Breaking free from Miro trying to hold him back, Saga fires “Galaxian Explosion” to Camus and the others. 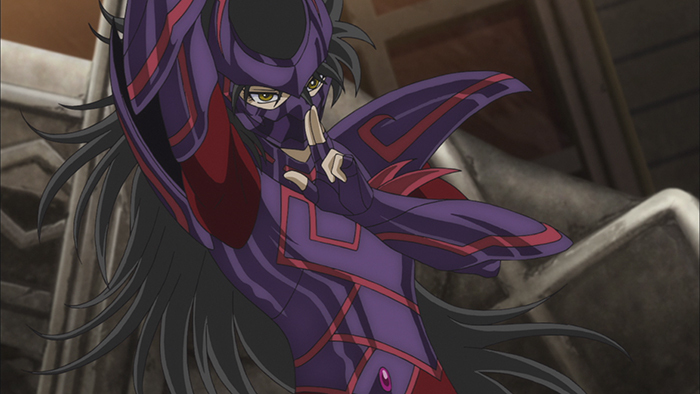 Meanwhile, Helena, whom Deathmask secretly loves, is beckoned to the brutal God Warrior Fafner’s deadly invitation known as “Cure for Disease.” Deathmask gets suspicious when he sees the flower shop closed, and without being able to get rid of his worries after seeing the siblings’ behavior, he rushes to the hospital where Helena is. The God Cloth... Mu hears from Shaka the truth about a great power. 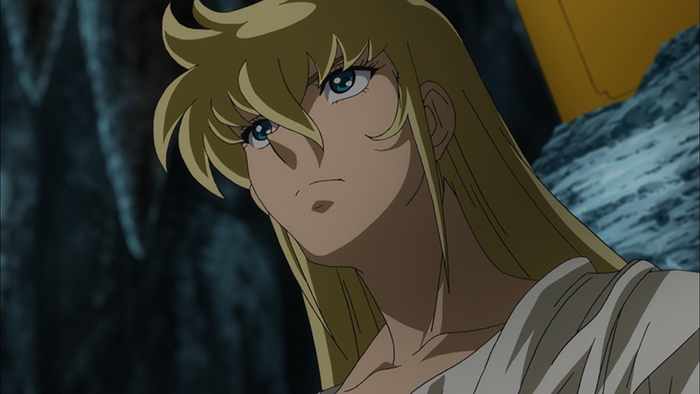 Then, telepathy from Mu reaches Aiolia and Lyfia who are headed to the great tree Yggdrasil. His story reveals that the barrier of Yggdrasil can be destroyed using Cosmos heightened to their peak with the God Cloth. The Cosmos must be struck into the Great Root from three directions in order to do so. 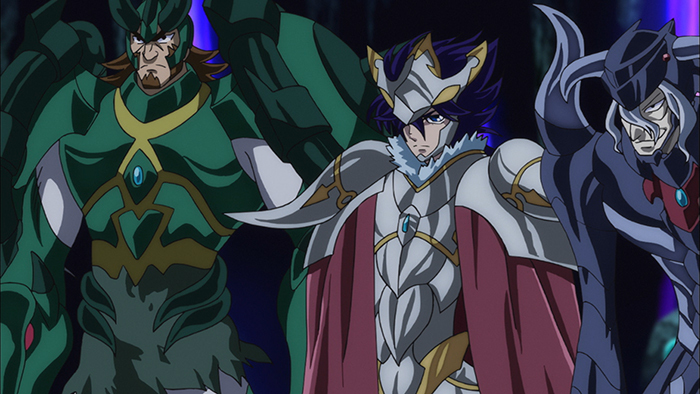 Aldebaran, Dohko, and Miro, who also heard the telepathy, march on to the Great Root to destroy the barrier. However, Saints appear in their path, and their identities are truly shocking for all! 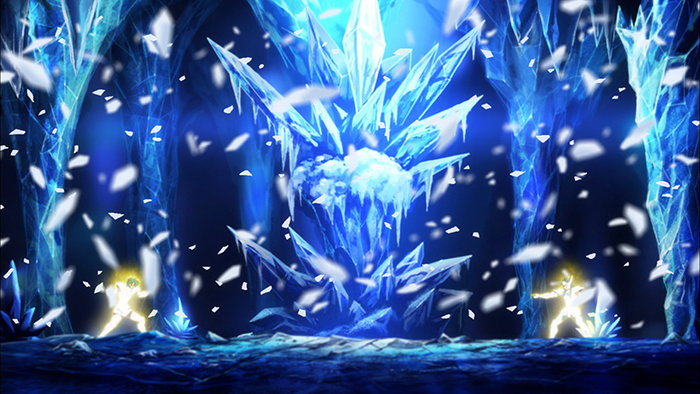 Aiolia and the others shattered the barrier known as Fimbulwinter. The Gold Saints go on to the interior of Yggdrasil, following the invitation of Andreas. According to Lyfia, destroying the statues in each of the 7 chambers will stop the growth of the evil being. 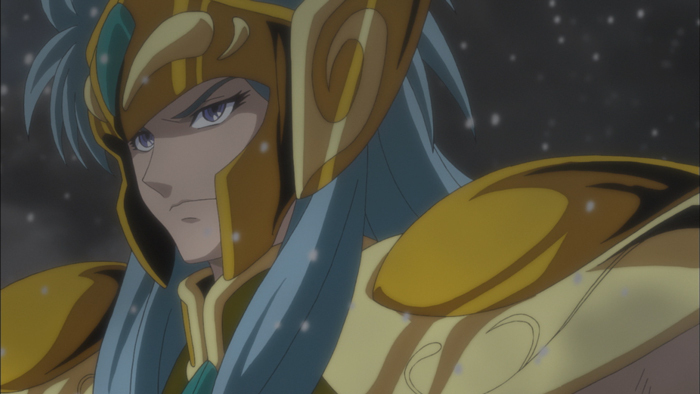 The Gold Saints face the battle with a new determination, but something starts to happen to Lyfia. Meanwhile, Andreas recalls a man with a scarred left eye while speaking to Frodi. 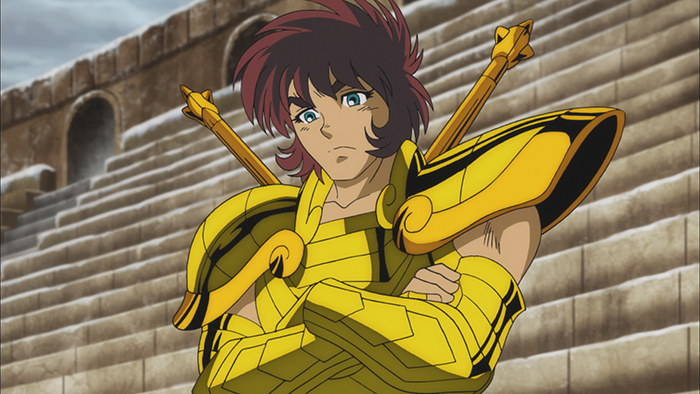 That man was Aiolia’s older brother, Sagittarius Aiolos. 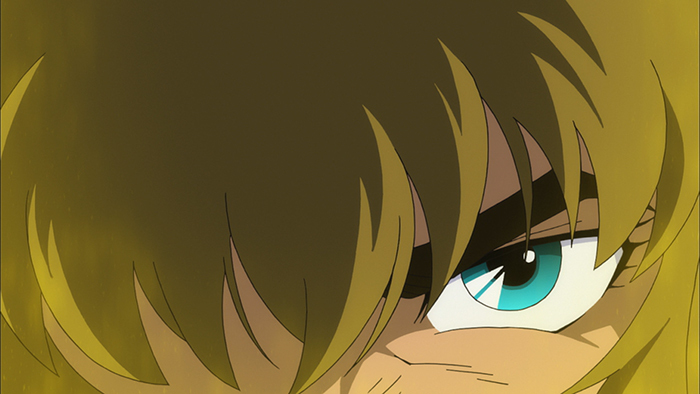 The battle of death between Aiolos and Andreas is now told! 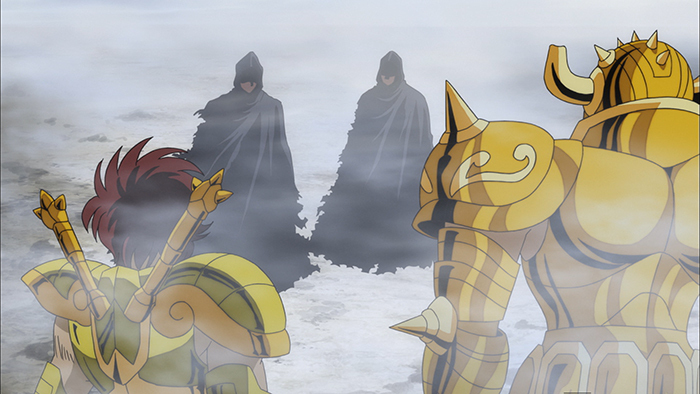 With the 7 chambers as the stage, the all-out battle between Gold Saints and God Warriors has finally started. Taurus Aldebaran goes up against the God Warrior Hercules, whom he has fought before. 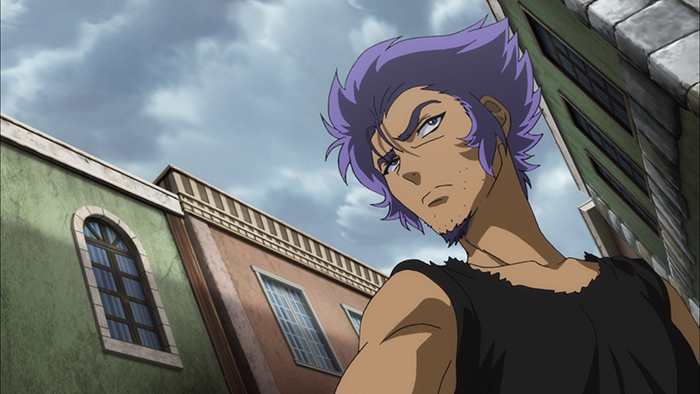 Hercules has become extremely violent from the power of the Odin Sapphire given to him by Andreas. Hercules unleashes a vicious attack, but Aldebaran, after discovering “true strength,” responds with an even greater power. 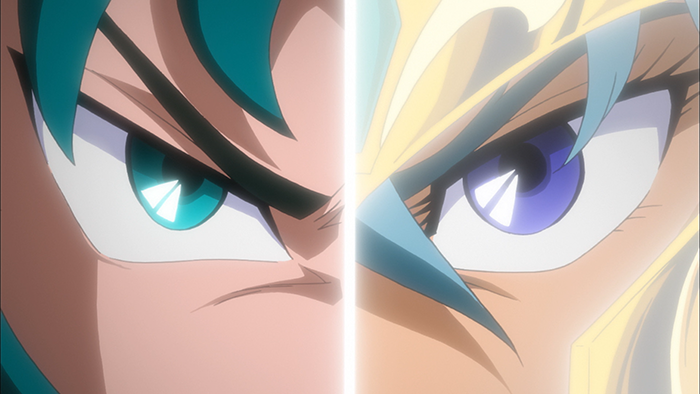 Meanwhile, in the Ice Chamber, a battle of Gold Saints between Shura and Camus has begun. Both men hold their ground, until an extreme battle unfolds from the transformation into God Cloth. Then, after the battle against Miro and Shura, Camus realizes his true feelings for God Warrior Surtr, who was his friend. Shaka arrives at the Light Chamber and goes up against God Warrior Baldr. Befitting for his title, “The Man Closest to God,” Shaka unleashes powerful moves against Baldr. 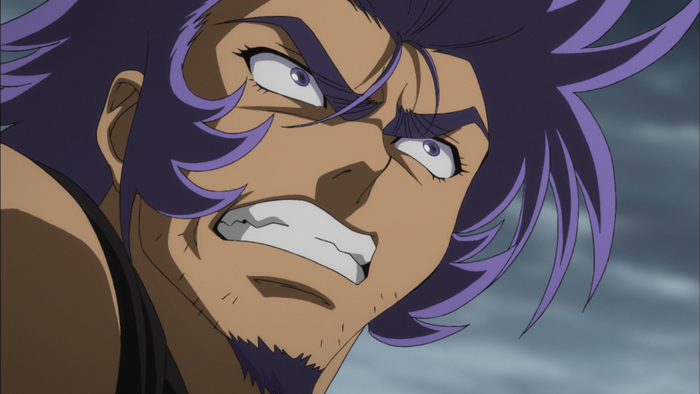 However, Baldr is unfazed by Shaka’s attacks, and displays overwhelming power. 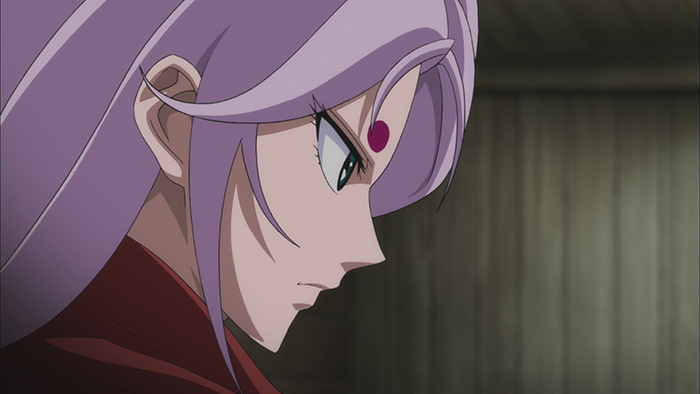 His power was truly the power of “God,” but Shaka starts to see through the curse hidden inside of Baldr. 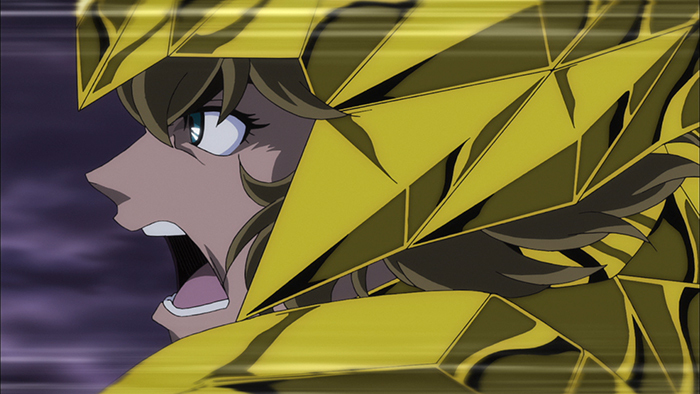 On the other hand, Deathmask takes his sworn enemy Fafner to Yomotsu Hirasaka in order to settle the score. 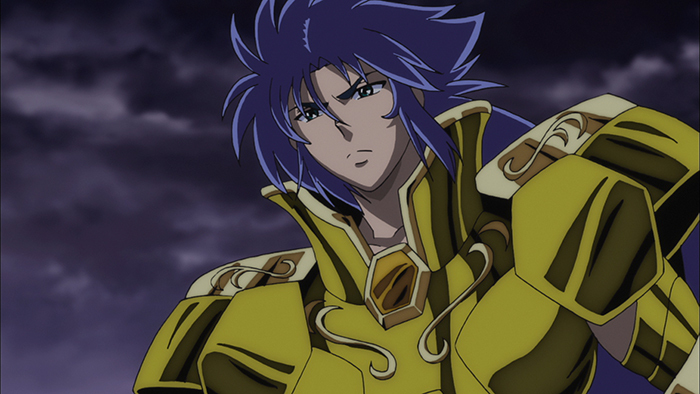 However, Deathmask is put in great danger due to Fafner’s evil plans. 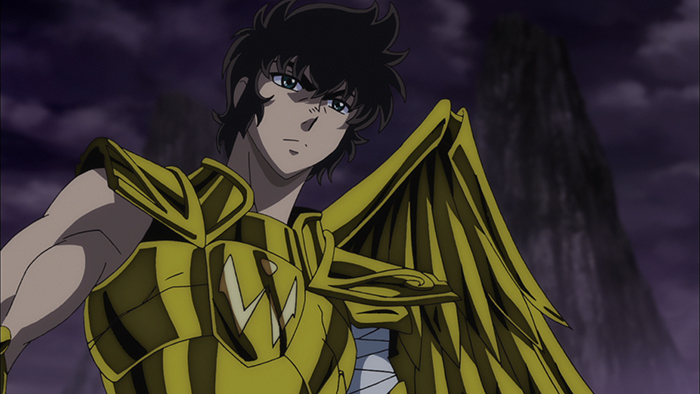 Will Deathmask be able to protect a loved one this time? Sigmund is out for revenge due to the death of his younger brother Siegfried. 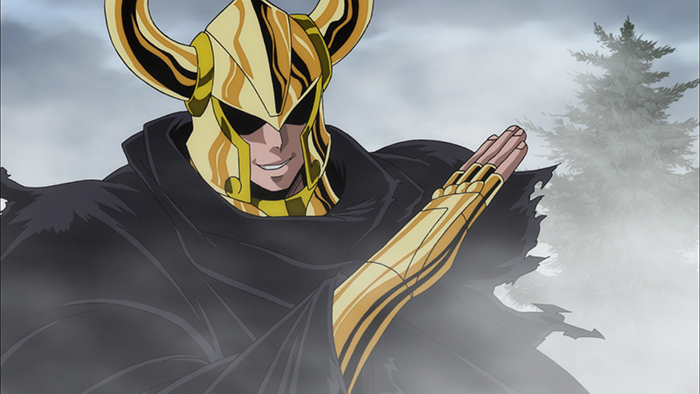 However, Saga easily defeats Sigmund using great powers worthy of his reputation as the strongest Gold Saint. His powers were great enough to even surprise Andreas. As Saga tries to finish off Sigmund, a ray of light appears in front of Sigmund! 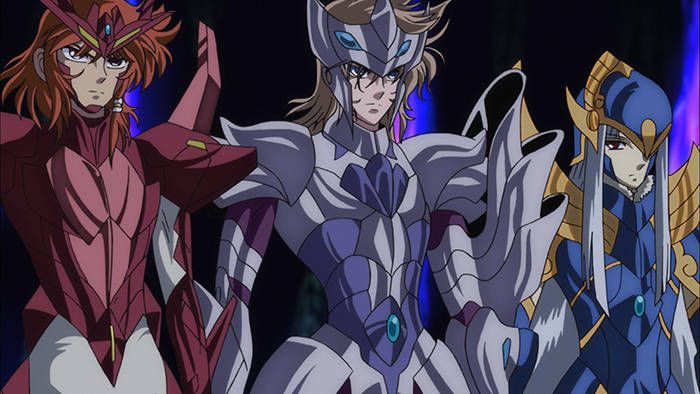 Meanwhile, an even battle between Aiolia and Frodi was being carried out in the Warrior Chamber. Then, someone comes into this ferocious battle... It is Lyfia! She starts to reveal a shocking truth, not knowing that it would bring further tragedy. Taking Lyfia's words to his heart, Aiolia finally faces Andreas! Andreas speaks to Aiolia in a ridiculing manner about how he toyed with Lyfia's life as if it were a puppet. 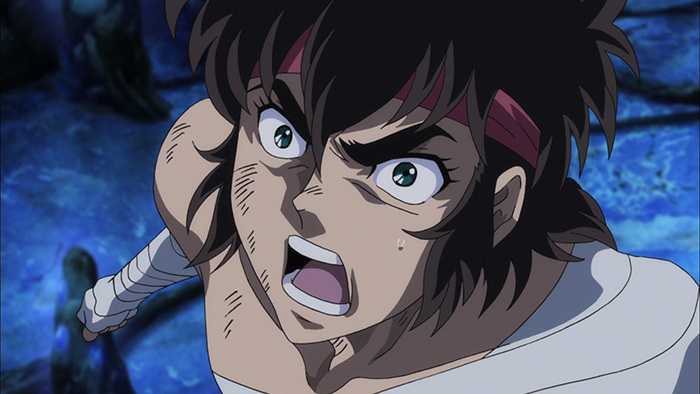 Aiolia becomes enraged and clads himself in a powerful Cosmo to become God Cloth form. 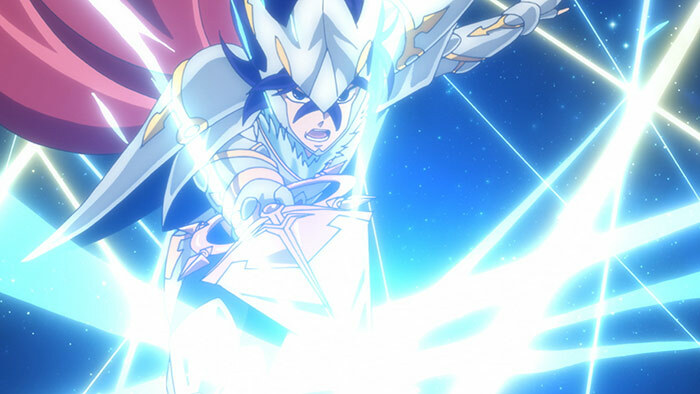 In order to finish off the fierce battle in Asgard, Aiolia fires off a Lightning Plasma. Meanwhile, Frodi is overwhelmed by the unyielding sword skills of Utgarda and the battle becomes one-sided. However, despite being in a great crisis, Frodi feels the voice of the land of Asgard that Lyfia mentioned and regains his determination to protect Asgard! 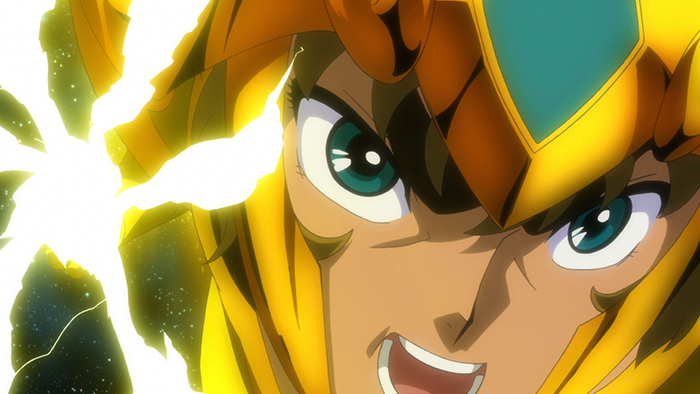 With the trinity of Mu, Saga, and Dohko's God Cloths, the ultimate shadow fighting technique, Athena Exclamation, annihilates Andreas. 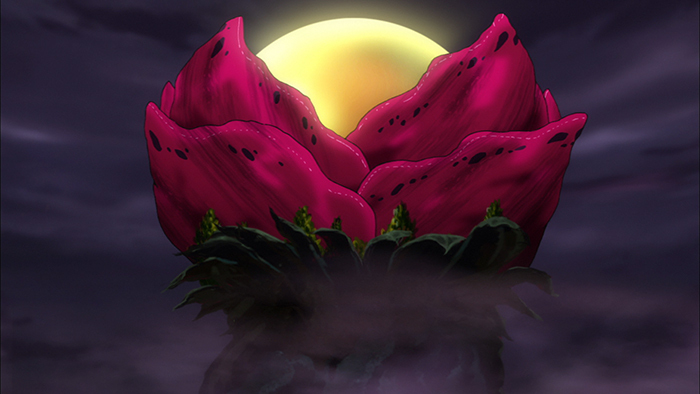 However, the evil fruit does not stop growing, and Aiolia and the others are pulled into the root. 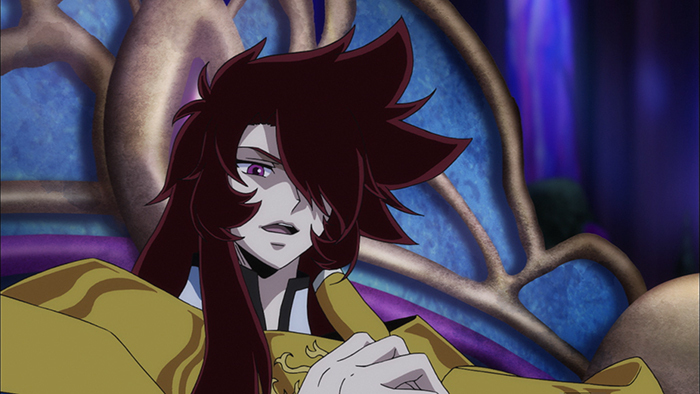 Aiolia somehow survives, and surprisingly, a Loki Robe is floating in front of his eyes. The body of the Evil God Loki has vanished, but its main body was hidden in the Loki Robe. 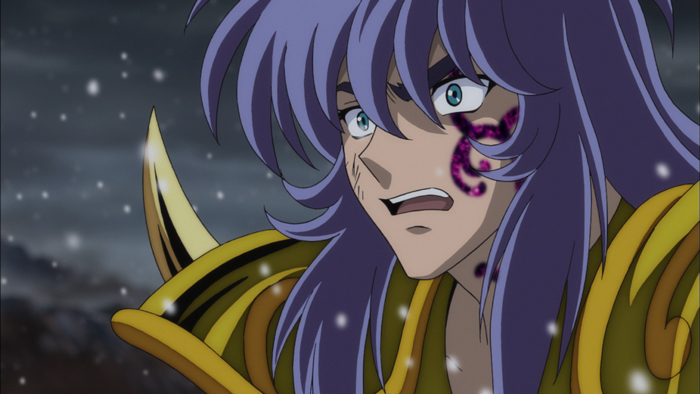 Aiolia is in a dire situation having lost his Gold Cloth, but still has a passionate Cosmo burning inside his heart and challenges Loki. 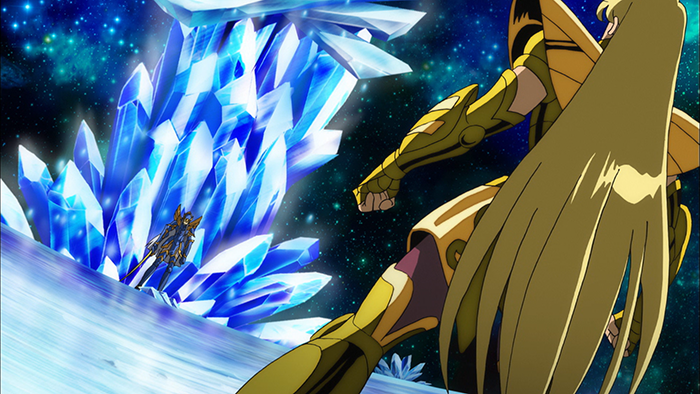 However, his resistance is futile, and just when Loki is about to deal the finishing blow to Aiolia, a great miracle saves Aiolia! Aiolia, after being entrusted with his brother Aiolos' strong will and Lyfia's wish, puts on the Odin Robe and goes up against Loki with Odin's sword and the noble weapon Draupnir. 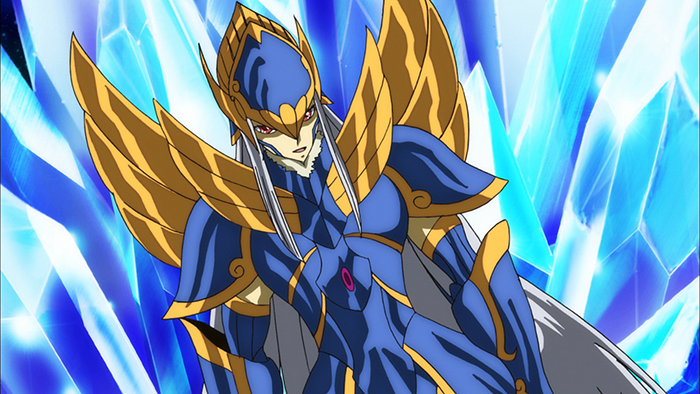 The fusion of Aiolia and Lyfia's powers starts to corner Loki. However, as Lyfia has been the representative on the land for not long, she starts to be overcome by Odin's power. At the same time, the seed of Gungnir matures, and the revival of the sacred treasure, the Gungnir Spear, is close at hand. 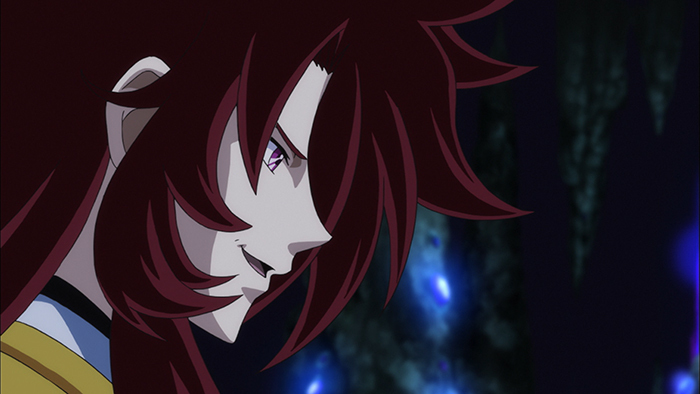 Aiolia's fist and the revival of the Gungnir Spear... Which will grab victory? The ultimate battle to the death will reach the climax! Since the "Wailing Wall," it is the first time the 12 Gold Saints have gathered! 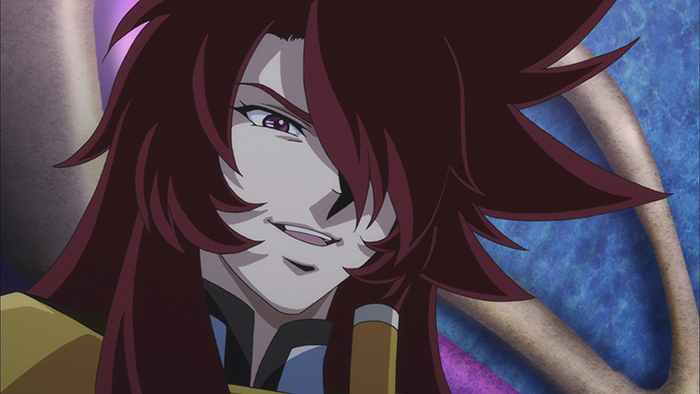 Keeping in their hearts their purpose for being revived, they go against Evil God Loki who holds the Sacred Treasure Gungnir. 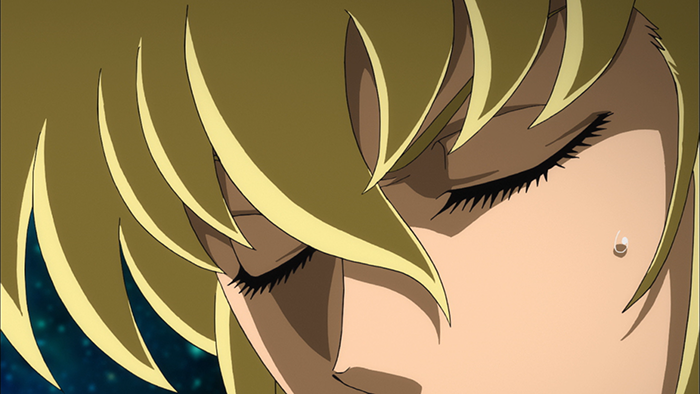 However, against the overwhelming power of god, the 12 Gold Saints are put in a crisis. On the other hand, Lyfia continues to pray for the 12 Gold Saints no matter what sort of crisis they face. And as if to answer her prayers, there is a revelation from Athena descending from the sky! Finally, the ultimate God Cloths of the 12 Gold Saints descend upon them. 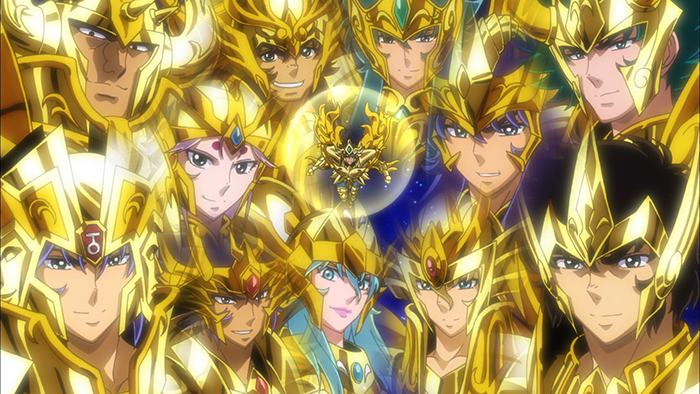 To protect love and peace on land, the gold Cosmos of Aiolia and the Gold Saints surpass god in order to defeat Evil God Loki!